Coco Nara Review - Are Those Coals Still Good in 2019? 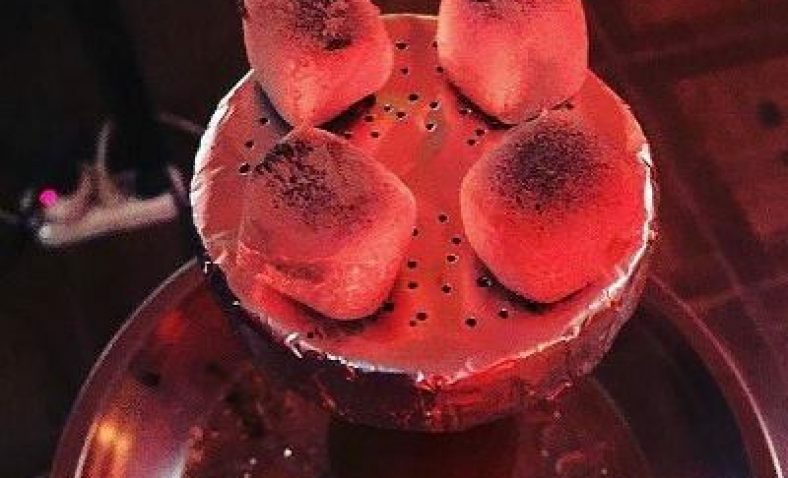 Coco Nara’s are definitely one of the best natural hookah coals out there, one of those coals that last longer and does not leave many ashes behind. These coals are earned a reputation among hookah smokers for a reason and today we’ll tell you why. So, here’s our complete Coco Nara coals review. To get a rich hookah experience and long-lasting sessions, you must choose quality and natural coals. 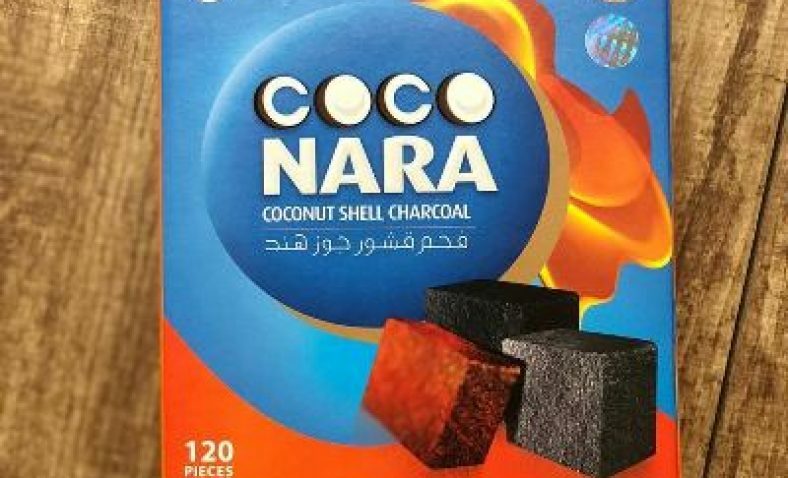 Therefore, Coco Nara coals offer you a super clean hookah burning coals made from 100% natural compressed coconut shells. These coals are known for their longevity and burn up to 3 times more than any other natural coals. As per tested by the smokers, they are designed to last 50 to 60 minutes and have no odor or foul smell. They are eco-friendly, clean in taste and holds the perfect temperature for smoking shisha. There are no additives, sulfur or any chemical injected in this coal. 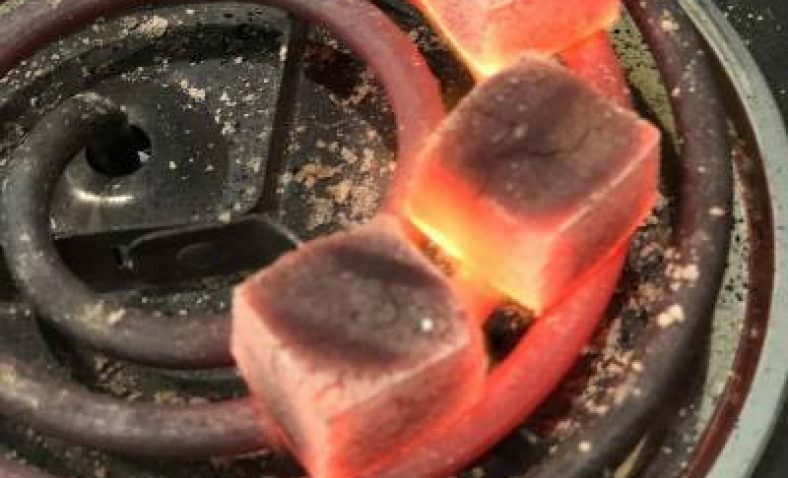 Each Coco Nara cube has a perfect size for tongs which resembles closely to the Roman natural lemonwood hookah coals. Each coal has a standard shape of 1”x1”x1/2” and available in two shapes- flat and cube. The coal has the dark complexion, smooth sides, rough top and bottom surfaces and quite rigid (not easy to break). Odor: Initially, before heating, coal doesn’t emit any smell, neither it does while heating. However, it becomes ready to be used, you will sense a faint woody smell, but that will not affect your tobacco flavor. While using the hookah, you will notice thick clouds and effectively melt the molasses and tobacco flavors providing you elegant taste. Many people reported to receive smoke at the first pull and delivering dense cloud. Along with the good durability, such qualities make these Coco Nara coals the miracle bricks. When you are done with hookah, you will notice, there is very little ash output leftover on the bowl, even less than 5%. Most of them burn out during the smoking session. They are also easily cleaned up. While heating the coal, you must not burn them in any open flames. Rather prefer single coiled charcoal electric heater which is specially made to heat up the natural coal. It provides proper regulated heat to fully cook the coals and ready for the hookah experience. In order to get started, first pick 3 to 4 Coco Nara coals and place them on the heated coils of the heater. You are warned not to use any petroleum product for immediate heating, as it will be accidental or ruin the taste of your hookah. You can choose the number of coals to be heated according to your preference and the bowl size. The coals should be spread evenly on the coil so that it can get enough room for heating all the sides. Remember, burning the coals right next to each other might lead them to die out earlier than expected. So How Will You Know When They Are Ready? The natural coals like Coco Nara usually take around 10 minutes to get the optimum heat to be used on the bowls. But before that, you will notice a vibrant red color which ensures 100% ready to be used. Before placing the coals on your hookah bowls, make sure their dark black color gets faded. If not, make sure to heat them until they form a layer of greyish ashes around them. Also, make sure the coals not to be overheated, as this might lead them to become smaller in size and reduce the hookah session. While collecting your cooked coals, ensure to turn off the electric heater first and handle one coal at a time while filling up the bowl. 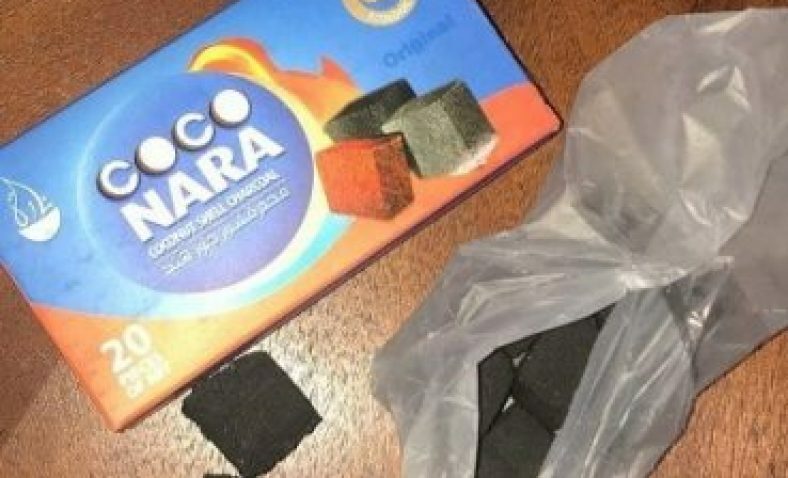 Coco Nara’s are still among the best natural coals that you can find, but as you can see from the video below, there are a lot of fakes, and more and more people are complaining about these coals. For that reason, we’ve made a quick guide about what to look for when you’re ready to buy these coals. The box of original Coco Nara coal is made of quality material with a glossy finish and the prints are high quality, so if the box you have doesn’t own these characteristics, you probably got the fake one. Original Coco Nara’s should have a stamp inside the box as well as on the outside of the box. The outside stamp is easy to fake, so be careful. Real Coco Nara’s will always have a stamp with the country of origin and serial number. Every box of these coals comes with the instructions on how to use them. As you can see it’s maybe hard for beginners to know which one is fake and which one is not, but as long as you buying from a reputable seller you should be fine. You can always visit their company website to gain more information directly from them. This brand is still the king among hookah coals, and most of the people use them a lot. Now you got complete Coco Nara coals review as well as a quick guide on how NOT to pick fake ones, so if you haven’t already, I definitely recommend that you give these coals a chance. We hope this guide helps. Do you use Coco Nara’s too? Give us your opinion in the comment below.